PureRef – the simple way of viewing and organizing images, as developers say. Plus it has the Always on Top mode and its UI color scheme resembles Half-Life. Oh, and it’s free! Meshroom – a free, open-source 3D reconstruction software featuring the whole photogrammetric pipeline from point cloud generation to texturing. HandBrake – an open-source tool for converting video from nearly any format to a selection of modern, widely supported codecs. AviDemux – a free video editor designed for simple cutting, filtering and encoding tasks. Can also be used for datamoshing. 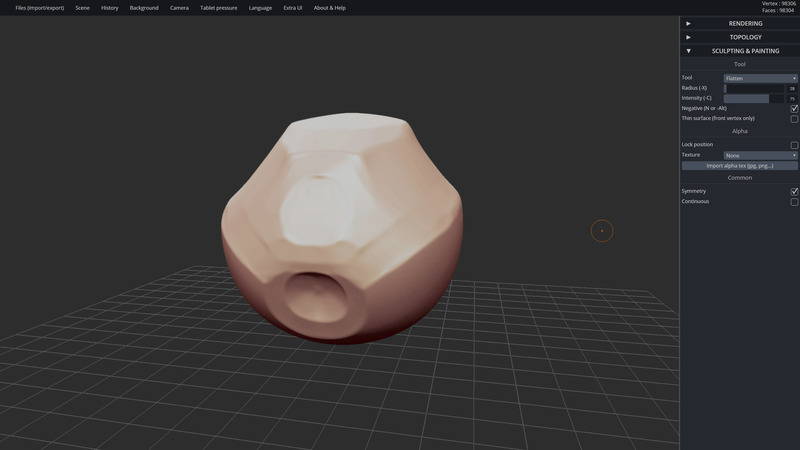 SculptGL – a digital sculpting web app with sources available on Github.  Features dynamic topology, remeshing, matcaps, you name it. MagicaVoxel – a free lightweight 8-bit voxel art editor and interactive path tracing renderer. Substance Designer – 3D material creation tool, defacto the standard in the 3d graphics industry for PBR texturing. SquareSpace – a paid website authoring, marketing and analytics platform. Canva – create designs and documents in your browser, drag-n-drop style. 8Bit Photo Lab – a photo filtering app capable of simulating the ‘8-bit’ look of various computers and consoles from the 80s and 90s. Gfycat – upload and share high-quality looping GIFs. The embedded player looks neater than your usual GIFs! Imgur – an image sharing platform and a passionate community where memes and viral images flourish. 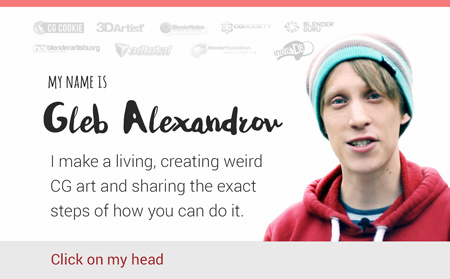 Sketchfab – the biggest 3D content publishing community, aimed at turning 3D into a mainstream media format. Sketchfab is a marketplace as well as a hub for Creative Commons content. Animation Nodes – a node-based parametric modeling and visual scripting system designed for motion graphics in Blender. How cool is that. Sverchok – a powerful parametric modeling toolset for Blender, featuring >150 nodes for creating and manipulating geometry. FLIP Fluids – a paid liquid simulation add-on for Blender, based on a modern FLIP-based fluid solver. Pluralsight – one of the biggest technology learning platforms. Digital-Tutors is now part of this platform. Gnomon – computer graphics education for careers in the entertainment industry. Godot – free and open source game engine, being developed at a high rate. The Blender of game engines. Armory – an open-source 3D game engine with full Blender integration. Color and Light: A Guide for the Realist Painter by James Gurney – A meticulous study of color and light in paintings. James Elkins: How to Use Your Eyes – A book that gives you a glimpse into the inner workings of our visual system. The Art of Photography – the best photography channel on Youtube by Ted Forbes. Kickstarter – a crowdfunding platform with >150k projects successfully funded. Indiegogo – yet another crowdfunding platform with a huge group of backers. Google Fonts – an extensive catalogue of open source designer web fonts. Fontsquirrel – as they describe themselves, Free Font Utopia. High quality free fonts licensed for commercial use. yobi3d – a robust 3D model search engine with the Search by Image and Search by 3D Model functionality. Printful – on-demand online printing and shipping, can be paired with Gumroad for semi-automatic orders. 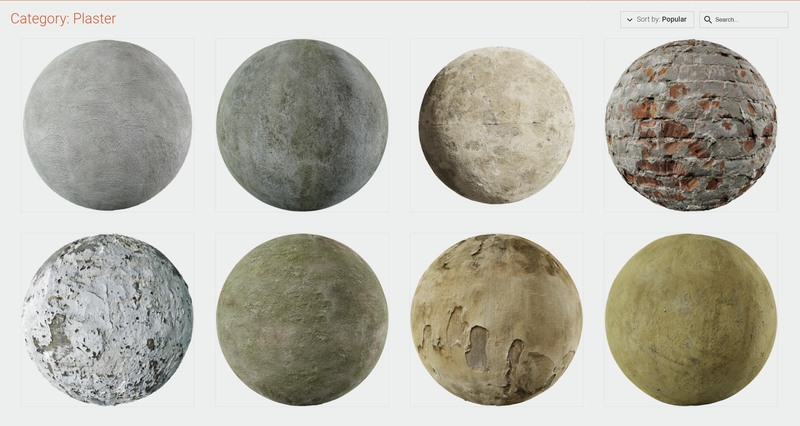 TextureHaven – high quality textures (8K, PBR) by Rob Tuytel. Licensed under Creative Commons 0. Poliigon – a huge library of textures, materials and HDR’s. NormalMapOnline – an online normal map generator. terrain.party – the easy way to extract real-world height maps. OtisMcDonald – Producer and multiinstrumentalist Joe Bagale released 30 tracks under a copyright free license on Youtube Music Library. I love these tracks. SocialBlade – user statistics for Youtube, Instagram, Twitter, etc. Blender Network – Blender Foundation’s official partnership program, an online directory and social network for Blender professionals. Aidy Burrows – CG artist, veteran game developer, lead instructor at CG Masters. James B. Candy – 3D scanner and film maker at Classy Dog Films. Bill Barber – tutorial maker, runs BlenderBrit website. Leonardo Braz – 3D artist with a huge potential. Grant Wilk – 3D generalist, creator of Remington Graphics. Troy Sobotka – acolyte of moving pixels, an expert of color science. 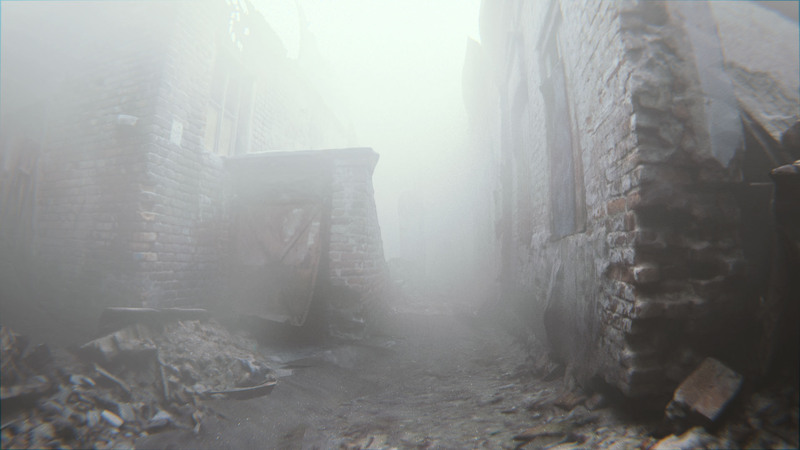 Paul Chambers – professional CG generalist, runs a blog. James O’Brien (Vadim Ignatiev) – CG artist. Check his car and city renders! YanSculpts (Yanal Sosak) – a passionate hard working character artist. Penfinity – Blender tutorials and amazing hard-surface modeling expertise by Wesley Vanitou. Jim Morren – 3D character artist and asset creator. Sean Kennedy – professional VFX artist, runs OpenVisualFX blog with tips and training for free & open-source VFX software. Daniel Bystedt – Blender artist, senior character artist at Goodbye Kansas Studios. Jerry Perkins (masterxeon1001) – creator of HardOps and other add-ons for Blender, member of TeamC. MACHIN3 – creates modeling add-ons and 3D assets. CaptainDisilluision – a famous superhero debunking internet hoaxes. Vitaly Bulgarov – concept designer, 3D artist and hard-surface modeler, level = godlike. Tor Frick – art director, concept designer and 3D generalist. David Revoy – a digital artist using 100% open-source. Ben Nicholas – senior concept artist, designer and photographer helping people to deal with depression by tweeting his journey. What have I missed? Tell me in the comments if you know some other crazy useful website. Much appreciated! Want to see even more useful links? Check the Resources mega collection. And feel free to subscribe to the newsletter to get ahead in art and computer graphics. Let's get better at digital graphics and art! Join 3000+ members in the Creative Shrimp community.